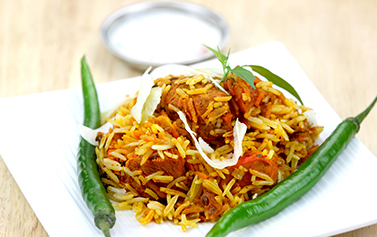 At Al-Madina Tandoori we prepare spices and herbs in house to bring you the unique Indian food experience. We strive to give you the best flavours, taste and aromas from India and the sub-continents to your doorstep. We use only the finest of produce and fresh seasonal native vegetables, which coupled with over 15 years of experience means that all your meals will be prepared to the highest professional standards. Our customer service is of a high standard and we always ensure you receive excellent service to match the high quality cuisine we provide. 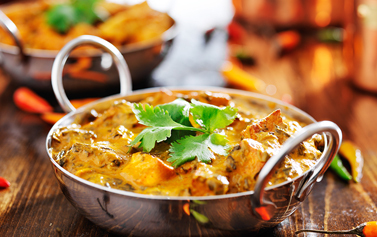 The menu integrates both traditional classic favourites with new and creative dishes which are freshly prepared by our chef who has vast experience in Indian cooking. If there is a particular dish you like which is not in our menu please ask. We will be happy to prepare it for you. Our aim is to deliver your food within 45 minute of placing the order. It may take little bit longer on busy hours. We will do our upmost to meet the delivery time. We have now installed a new fantastic online takeaway ordering system so that you can order food from us even easier than before. Please feel free to browse our website and to order online. You will be able to get up to date prices and special offers online. Free Parking Available. Was fantastic. Delicious and delivered earlier than expected time. Food was delicious and everything was correct apart from the drinks which the staff rectified swiftly and very politely. Food arrived very quickly and it was so hot. Best Indian takeaway around and I will be ordering from here again!